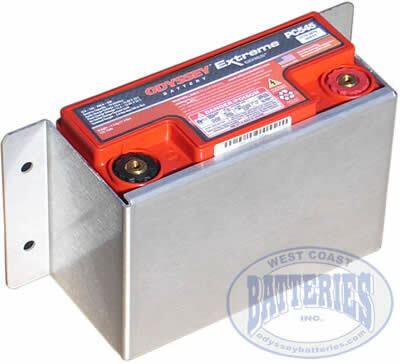 Aluminum ODYSSEY battery mounting brackets for many ODYSSEY battery models. Brushed aluminum finish suitable for painting or powder coating. Brackets can be mounted flat or upright. Tray measurements 9.25" x 4 7/8" x 3 3/8"